Purchasing a home is always a large financial investment, and often the largest financial investment most people will ever make. 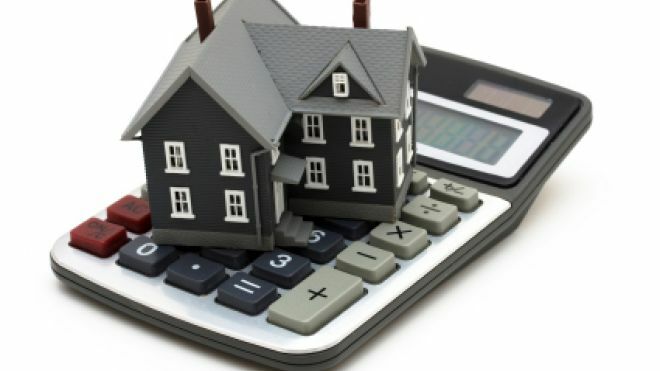 Unfortunately, most people believe that once they are in a mortgage, they are stuck with the interest rates and terms that they have for the duration of the mortgage. Not only is this not true, but it can also make life financially burdensome. If you find yourself wanting more financially out of your homeowning experience, consider refinancing your mortgage to make sure that your mortgage fits your financial needs and lifestyle. A mortgage refinance is a type of mortgage that is acquired to pay off an old mortgage and replace it with a new one. Mortgage refinances have a variety of uses and home owners can choose to a refinance option that best fits their financial situation and lifestyle needs. A few reasons homeowners choose to refinance include to reduce a monthly mortgage payment, to receive an equity line of credit, to consolidate debt, and to switch mortgage loan types. Refinancing a mortgage can be particularly beneficial to first time homebuyers, veterans, and other individuals who have better their financial situation since acquiring their mortgage. Usually when a homeowner purchases their home, their credit score and financial situation isn’t as strong as they could be. However, after a few years of paying a mortgage on time, many homeowners see a spike in their credit score. Refinancing with a higher credit score can lead to a better interest rates and mortgage terms which can lower monthly payments. Both FHA and VA loans offer refinance options that cater directly to the specific needs of their borrowers. For veterans, refinancing a mortgage can dramatically reduce monthly payments. Because active duty often requires service members to move frequently and keep finances tight, many veterans see an increase in their credit score and financial security once their lifestyle becomes more stable. This increase in financial stability usually raises credit scores and lowers debt-to-income ratios which gives veterans the opportunity to refinance their home at a lower interest rate. Lowvarates.com can be a great place to start the refinancing process for veterans, especially if you have questions about the process. If you are interested in remodeling your home, purchasing a second home, or starting a business, consider receiving an Equity Loan. Homeowners gain equity in their home as they make regular mortgage payment. Equity is essentially the part of the home you own as you make payments, and an Equity Loan is a type of refinance that allows you to use the equity that you have placed in their home. Equity loans allows individuals a little more financial freedom, and allows borrowers to use their money as they see fit. Refinancing can also be beneficial for homeowners when they are interested in consolidating debt – whether it be credit card debt or that of a second mortgage. If you have other debts that you are interested in combining into one lump monthly payment, consider refinancing your mortgage so that you can pay off the extra debt. Refinance interest rates are often much lower than credit card interest rates, and opening up those lines of credit will often boost your credit score. Having all debt consolidated will often lower your overall monthly bill payments as well. If a homeowner is struggling with making payments or doesn’t like the unpredictability caused by a specific loan type, they can refinance their mortgage into terms that better suit their lifestyle and financial situation. If a 15 year mortgage has caused payments to be too high and your budget to be a little too tight, consider refinancing to a 30 year mortgage. If you have an Adjustable Rate Mortgage (ARM) and find that the payments are unpredictable and sometimes hindering, consider refinancing into a Fixed Rate Mortgage. If your current mortgage isn’t offering you the rates and terms you want, consider refinancing. Don’t stay in a mortgage that makes you financially miserable. A mortgage loan was intended to make homeownership accessible and affordable, and you have a right to ensure your loan is doing just that for you.